A man-made synthetic substitute for the more expensive natural Beeswax. In Batik, Sticky Wax is more pliable and tends not to crack very much. Batik artists often mix it with Paraffin to increase the crackle, or use it for outlining or areas where they want solid coverage. 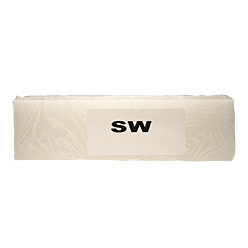 Melts at 140° F.
Sticky wax comes in blocks that weigh about 1 pound and it is priced by the block. Boxes contain 40 one pound blocks. Remember to work in a well ventilated area and never heat wax hotter than 190° F.